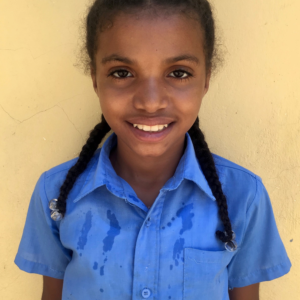 Betania Navarro Ortis is 11 years old and in the Fifth Grade at the public school in La Represa. Her parents live in the community, but Betania lives with the family of a close friend. She likes to play with dolls and she likes to play baseball with her friends. She wants to be a Spanish teacher when she grows up. Betania describes herself as a kind person.